Whether you live in New York, Indianapolis, or Milwaukee, Rome, Trieste, or Milan—there will always be people who want more business. And they will joyfully give you a piece of the pie to produce it for them. Craft a sales letter that—with the right product at the right time—can make you a million dollars, euros, or pounds! 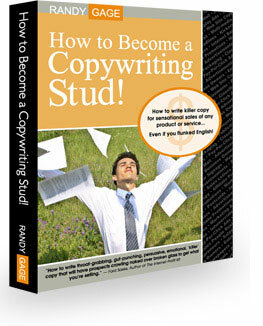 Randy Gage’s How to Become a Copywriting Stud!